cut it in half, then scoop the insides out with a spoon. Yummy! Last Spring I went to a presentation at our local botanical garden given by Chris Rollins, manager of the Tropical Fruit and Spice Park (http://miamifruitandspicepark.com) in South Florida. He had samples of all kinds of exotic looking fruit. I was surprised (and disappointed) to find that many of the fruits they grow in the park, that are popular in other countries, were not sweet. Must be an American misconception. I’m lucky to live in a semi-tropical climate and grow bananas, mangos, citrus, and pineapples in my back yard. Not super exotic, but super sweet. One vegetable I love that you may not have tried is yucca. It is similar in calories to the potato. I will have to remember to add the recipe to my bog. You should try a Galia melon, if there are still any in your area. Mmm, MMM. I cant decide if the pic makes me more or less likely to try a passion fruit…. Shannon is right – you don’t eat the skin! Just eat the inside pulp. It is great on yogurt, in smoothies and milkshakes and as a “dressing” for fruit salad. The other perfect and classic Australian use for passionfruit (which grows on a vine and once it takes off is quite prolific in the backyard garden) is to drizzle the pulp over strawberries and cream on the top of a pavlova, a delicate and yummy dessert! Not a diet dessert but yummy when strawberries and passionfruit are in season in summer. Oooh I want to try passionfruit. 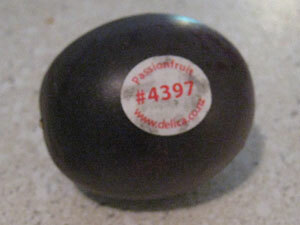 I’ve had passionfruit in tropical punch or passionfruit yogurt, but I’ve never just had a passionfruit. It’s hard though, to try new fruits. How do you know when they’re ripe? Google, I suppose. Passionfruit is great in juice. Also, you were right on with the pepino melon. In Spanish, pepino means cucumber. But I’m sure that it wasn’t that tasty. Who wants fruit that tastes like vegetables? 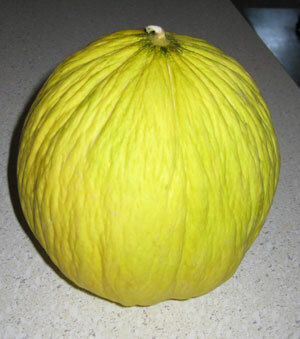 Casaba melon must be in season because I found one at my farmer’s market last week too! I, too, had never tried one, so I bought it and finally tasted it on Sunday. I don’t really like honeydew melon that much, so finding something that tasted like a honeydew melon, but less sweet, was pretty much a big disappointment. I came to the came conclusion you did; I’m sticking with cantaloupe. @megan Doh! I should have figured that out. “The Dance of the Cucumber” is one of my favorite Silly Songs by Larry from VeggieTales. One of the lyrics is “Miran el pepino.” Pepino = cucumber. I knew the word sounded familiar. I am still stuck on cheese & corn flavored ice cream!! Ewwww!!! 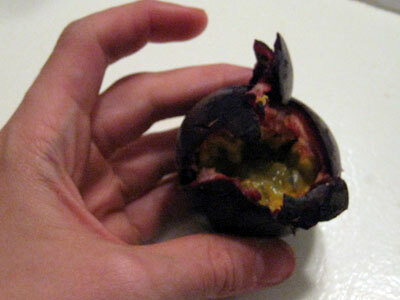 Passionfruit are delicious when ripe. The only kind I’ve seen here (The UK) are ripe when they are very wrinkled – like lime-sized raisins. Don’t eat the skin, just cut the fruit in half, scoop out the insides with a teaspoon and eat it as is, or use it with yogurt, ice-cream etc – it’s a very fragrant, citrus-y taste. @Shanna – I’m tempted to buy some just to report on its grossness. I will not want to try it, though. I’d rather pay cucumber prices for cucumber. And that passionfruit looks sincerely disgusting. I can say I have not “desire” for it. Bleh. Hi! You’ve inspired me to start The South Beach Diet! 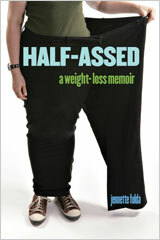 I weigh in on Saturday, but am already feeling better. I wondered if you could write a blog on your ‘top tips’ for SBD? 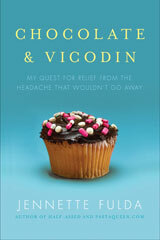 I’m sure it wouldn’t just be me who would love to read it! Keep up the excellent writing, you rock! I was also going to suggest the mangosteen! So delicate, so amazing. Am surprised you can’t find it in the US, it can be found in some odd remote places in Europe (although it doesn’t then really taste the same). Also, if you’re feeling really BRAVE source yourself a durian-never made it past the smell myself. For veggies there are lots of interesting leafy greens, related to broccoli and dandelions that are super tasty. And different types of bean…Probably have to go to farmers markets for those. Wow I’ve never had a passion fruit! I need to try one! Can’t speak for cheese and corn ice cream, but I have had corn ice cream before at a restaurant. It was freakin’ FANTASTIC. And strangely, corny! regular mangosteen can be hard to find (I found either that or rambutan once; they let me try one in the store (yes, I asked) and I found it no better than the lychees which they had for 1/4 the price.) But- Trader Joe’s has dried (freeze-dried?) mangosteen and rambutan. I keep thinking I’ll buy them once I run out of the excellent fresh summer fruit. Yes now I need to go find a passion fruit to try! I’ve never had one either! 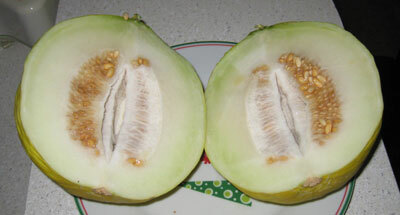 I love melons so Casaba will be on my list. Thanks! FD makes it out to be scary, but Durian is THE BEST. You can find it frozen in Asian markets, or, if you’re super lucky, maybe a store in your area has fresh ones. The smell has tones of garlic and onion in it, but the taste is creamy custard. Initial reactions tend to be horrified, but you DO get the hang of it with repeated exposures.. after all, it’s not the most popular fruit in the world ’cause it’s absolutely barking nasty. The “learning curve” does make it fun to try out on friends, though, once you’re used to it. Was the pepino melon from Chile? I see someone already beat me to the reason it tasted like cucumber. That fruit is pretty popular here, but I have to admit that I don’t love it, even when ripe. I don’t think it’s particularly sweet either so maybe in this case Wikipedia is just wrong. @Kyle – My picture is blurry, but the sticker looks like it says Ecuador. What the? Since when do you bite into a passion fruit? I was under the presumption that you cut them in half, and ate the insides with a spoon – and don’t eat the skin? Hmmm… not sure why my comment hasn’t appeared – but essentially, you’re not supposed to bite into passionfruit. Try a chermoya. Cut it in half and scoop. When they are ripe, they taste sort of like a cross between a banana and a pineapple. Surely you did not bite into the passion fruit?! They have to be cut in half with a sharp knife and then you use a small spoon to scrape the deliciousness out. My first time commenting, but I thought I’d get in on the passion fruit discussion. It is all over the place here in Brazil – maracuja. Maracuja mousse is one of my favorite desserts. We have the yellow variety though. They are very tart. It is also known to calm you down and make you sleepy. I love it mixed in with yogurt including the crunchy seeds. I went to a yoga class a few weeks ago and we had maracuja tea. It doesn’t have any tea in it, but you drink it warm. Take a pot of water, add the pulp of the fruit and a few pieces of ginger, and some sugar if you need it. Boil for a while and then pour thought a strainer. It is a great drink for a cozy evening. A bit of casaba melon trivia: In the movie “Psycho”, Hitchcock used the sound of a knife plunging into a casaba melon for the stabbing in the shower scene. Neat, huh? And I hate passion fruit. I find the taste absolutely horrible. I love Lick the Produce. It’s always fun to see what you pick up. Passion fruit makes an absolutely heavenly (but expensive) jam. Just the fruit pulp, some sugar, and a little water simmered until they are thick, and you’ll think you died and went to heaven. I think I’m going to start growing them just to get my fix. Nothing like ’em. They taste kind of like Fig Newtons only, you know, real. 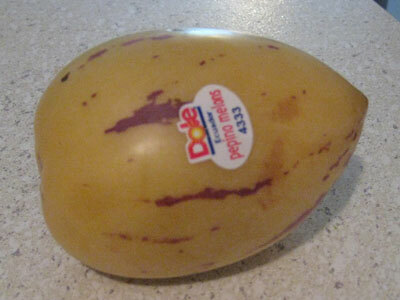 Oh, and actual dragonfruit – really flavorless and not worth the expense. You’d probably get more enjoyment from kindergarten paste.